In Fly Creek, a storm knocks down the power lines, transforming worms in mutant creatures. Mick travels from New York to meet his girlfriend Geri Sanders and stays at her home with her mother Naomi Sanders and her sister Alma Sanders. On the arrival, Mick has a friction with Sheriff Jim Reston and with Geri's neighbor Roger Grimes that woos her. 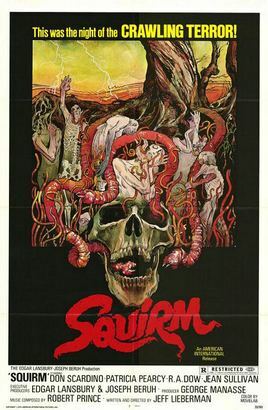 Soon they find that Fly Creek is infested of carnivorous worms that are devouring the inhabitants, but Sheriff Reston believes it is a prank of Mick.